To encourage customers to spend their frequent flier miles, Northwest Airlines started a travel auction Web site, http://www.auctions.nwa.com/, that takes bids in WorldPerks miles. The site will auction vacations, trips, concert and sports tickets and things like a Zamboni ride at Joe Louis Arena in Detroit. U.S. travelers hold trillions of unused frequent flier miles; estimates range from 10 to 14 trillion miles sitting around doing nothing. The Detroit Election Department is recruiting poll workers for elections. To qualify, applicants must be at least 16 -- and if they're 18 or older, they must be registered voters. A poll worker also must be a U.S. citizen, proficient in basic math and English and a Wayne County resident. Compensation ranges from $87.50 to $175 per election day based on classification and assignment. 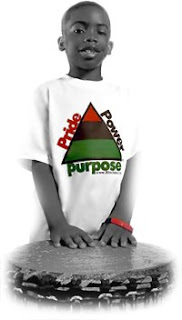 UniTee Design, Inc celebrates the pride, power & purpose of African American culture and history. The “UniTee” T shirt collection celebrate Black Unity and black culture -- & connect the beautiful spirit of a beautiful people. Visit our website for FREE WALLPAPERS featuring our powerful T shirt designs: 4 WALLPAPER designs to choose from. iHaveADreamJob.com is a free employment website for employers seeking diversity candidates. Candidates can post resumes and view employers that are targeting diversity within their organizations. Wayne County Executive Robert Ficano understands life is about opportunities and that some residents in his county have squandered them by going to jail. So the county created the Second Chance Through Expungement program, which seeks to eliminate an important barrier to some people getting jobs. Ficano launched the program during his State of the County address on Wednesday night.